The Snake Nebula in Ophiuchus. It's "S" shape kind of looks like a snake. This is Barnard 72. 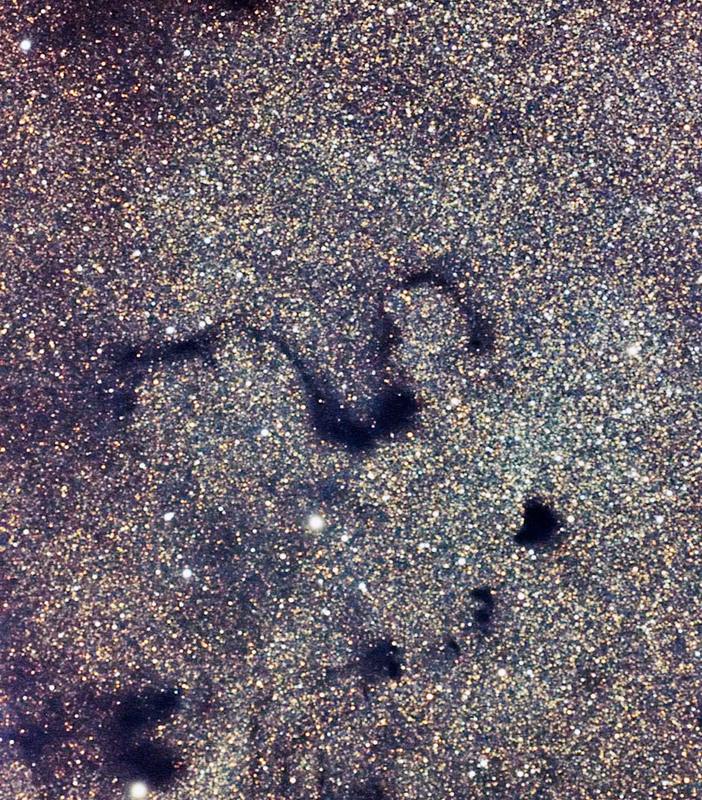 The other dark nebula that are visible (clockwise below the Snake) are Barnard 68, 69, 70 and 74 (which looks like a fat "C" in this image. Guiding: None, it wasn't cooperating with me at the time. Number of sub-images and exposure: 15 300-second exposures.